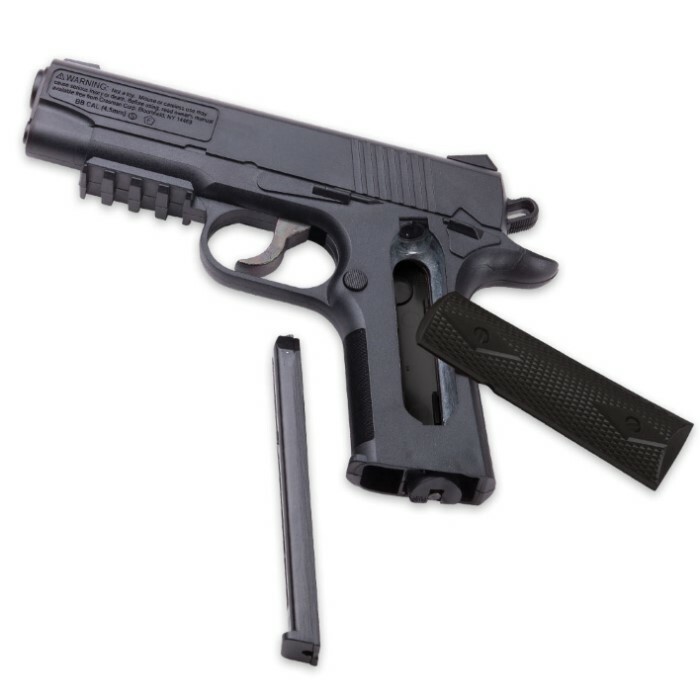 1911 CO2 Powered Black Semiautomatic BB Air Pistol | BUDK.com - Knives & Swords At The Lowest Prices! 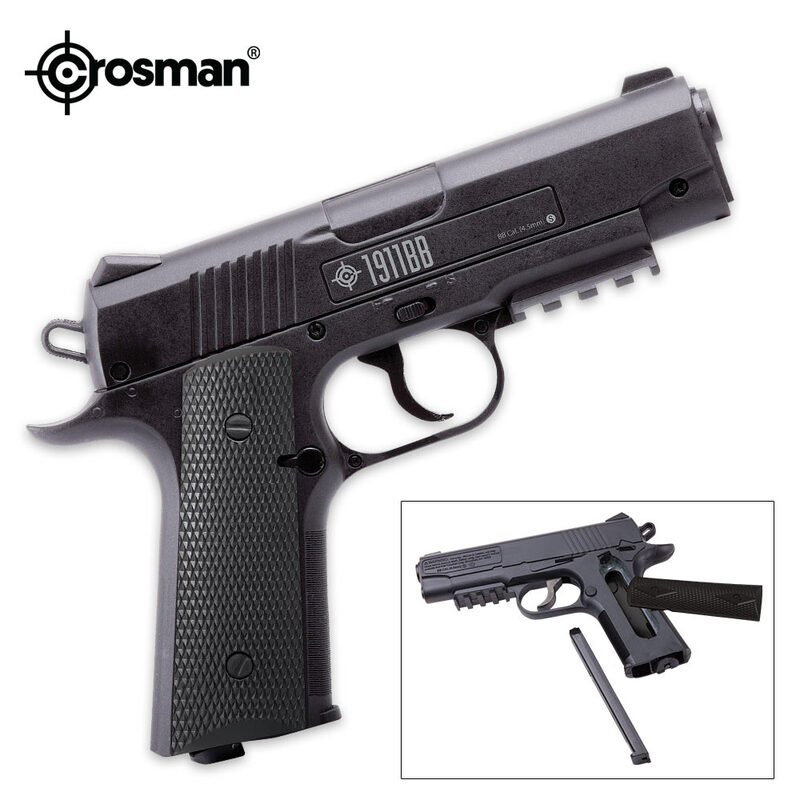 The 1911 CO2 Powered Black Semiautomatic BB Air Pistol delivers all the fun you can handle! 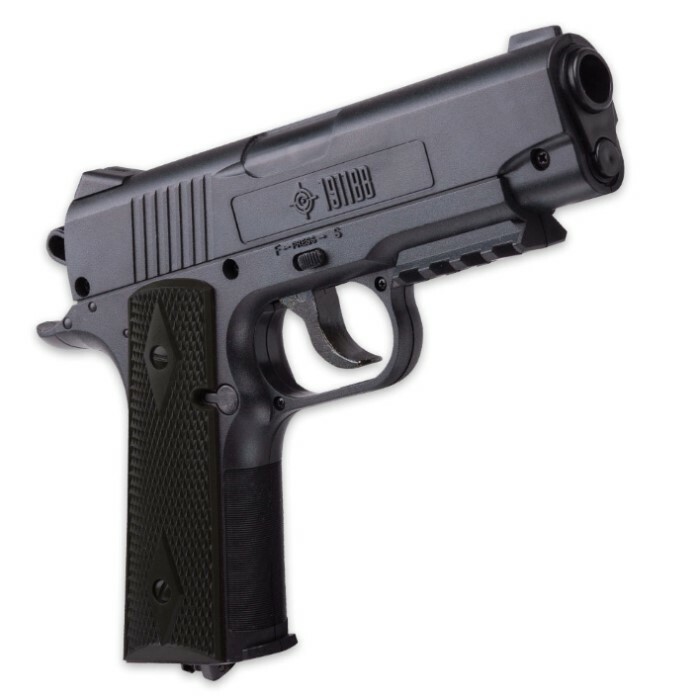 It has a precision steel barrel and a strong polymer frame with checkered grips. The convenient drop-out magazine holds 20 BBs and the fixed blade front and rear notch sights keep you on target. There is also a picatinny accessory underneath the barrel for adding your favorite accessories. Grip panels are easily removable for replacing CO2 cartridges.